We Repair Your Fine Jewelry – Loose diamonds? Ring too big? Broken clasp? We can fix it! 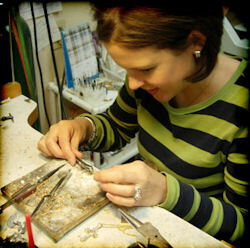 Mooresville Jewelry and Loan handles jewelry repair jobs of all shapes and sizes. We have a full-service jewelry repair shop right on the premises. From simple jobs like replacing watch batteries to more intricate replacement of clasps and prongs, no job is too small or too big. Our commitment to you and your jewelry as a family owned business, we understand how important family heirlooms and possessions are. We promise to treat your jewelry with care and keep it secure.